Why do we still have available Alcatraz tickets? FIRST* and LAST* name of each passenger. List children last. 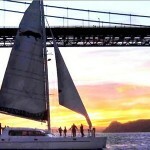 Posted in Best Priced Alcatraz Tour Packages, Muir Woods Sausalito Tours, Top 10 Deals. For the first part of your day of discovery, venture north over the Golden Gate Bridge to an isolated canyon filled with ancient coastal redwood trees, also known as Muir Woods National Monument. Enjoy solitude and peace as you stroll through 1000-year-old trees towering 260 feet tall. 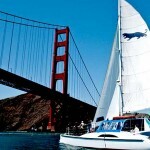 Next, we travel to Sausalito , a Mediterranean-like village harbored across the San Francisco Bay , famous for its sweeping views and timeless sophistication. Stay on board the bus or if you wish to extend your time there, you can catch the Sausalito Ferry back to San Francisco (ferry ride not included). 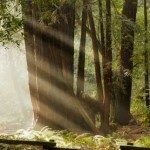 The Muir Woods and Sausalito section consists of at least 4 hours in total. There is a 1 hour and 15 minute stop at Muir Woods. Passengers may choose whether they wish to walk the trail or not. This short, self-guided walk takes approximately 30 minutes. Complimentary pick-up from your hotel is available if you are staying within San Francisco. At the conclusion of your tour, you will be dropped off nearest to your hotel location. Do you include meals with your tours? Meals are not included in the cost of our tours, however there may be time allotted on your tour during the rest stops to grab food and drinks. Are there restrooms on the coach? All full size coaches have restrooms. Our “mini coaches” – do not. Along the routes used by our smaller coaches there are a number of rest stop opportunities. What is the weather like on tour? San Francisco weather changes day to day. We recommend you bring a light jacket with you or wear layers since the climate varies. Once home to some of America’s most notorious criminals, the federal penitentiary that operated here from 1934 to 1963 brought a dark mystique to the Rock. The presence of infamous inmates like Al “Scarface” Capone, and the “Birdman” Robert Stroud helped to establish the island’s notoriety. To this day, Alcatraz is best known as one of the world’s most legendary prisons. Many people, though, are unaware of the wealth of other stories to be learned on the island. Alcatraz is now home to rare flowers and plants, marine wildlife, and thousands of roosting and nesting sea birds. Civil War-era buildings dotting the island give insight into the 19th century when the island served as both a harbor defense fort and a military prison. You can also see visible reminders of the American Indian Occupation that started in 1969 after the prison closed, highlighting an important milestone in the American Indian rights movement. 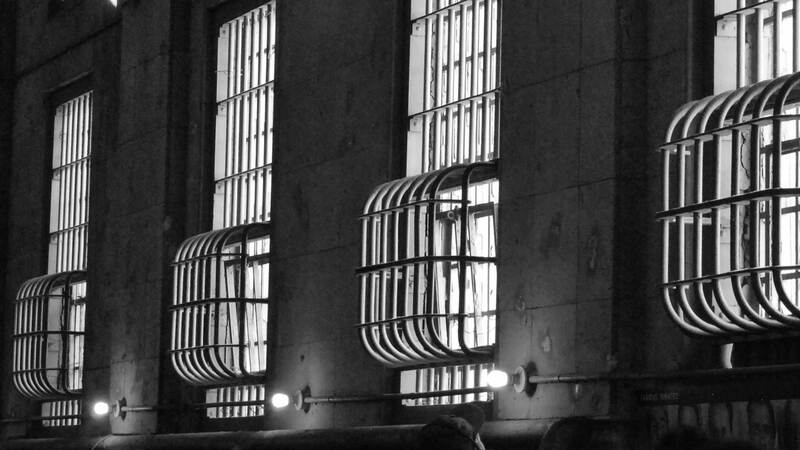 You’ll be astounded all day by what you will learn and see at Alcatraz. 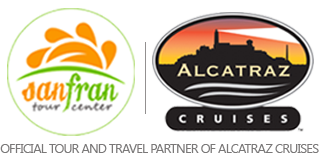 The Alcatraz portion usually takes approximately 2 hours to complete, with the audio tour consisting of approximately 45 minutes but there is no restriction on the amount of time you spend on the Island. The ferry boat service departs Alcatraz every 30 minutes and you can disembark at your own leisure. Valued at $37.25 for adults, or Children $22.75; you’ll be astounded what you will see and learn at Alcatraz and the Muir Woods . 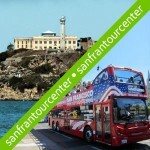 • The Official Alcatraz ferry ride to and from the prison from Pier 33. 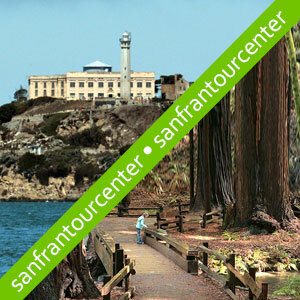 • “The Alcatraz Cellhouse Tour,” An audio guided presentation within the actual prison walls of Alcatraz. The audio guided tour features actual correctional officers and prisoners who lived and worked at Alcatraz. The Cellhouse Audio Tour is available in: English, Spanish, German, French, Italian, Japanese, Dutch, Mandarin, Portuguese and Korean. And of course, You may stay as long as you please at Alcatraz as the ferries come around every half hour to pick people up and return them to shore. 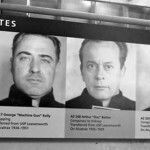 Plan for 2–2.5 hours for your visit to Alcatraz. Shuttle pick up is complimentary from most downtown San Francisco hotels!